A page with numbers, signed by late 20th century actors, musicians and athletes; each signature numbered and identified on a corresponding typed list. 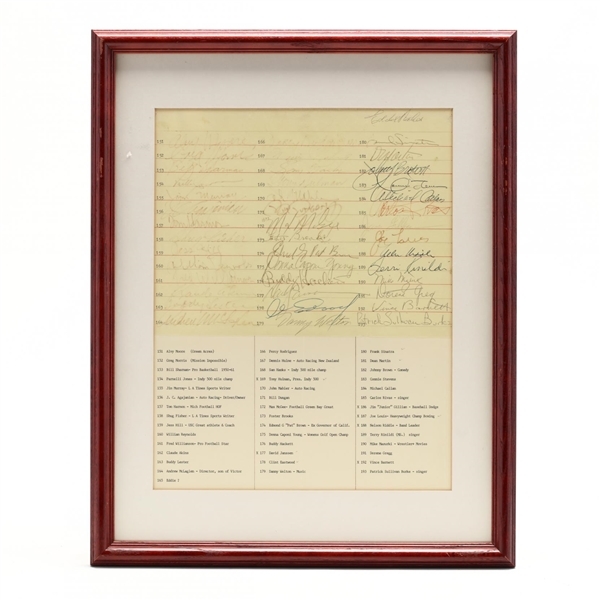 Highlights include Frank Sinatra, Clint Eastwood,Joe Louis,Buddy Hackett, Dean Martin, Connie Stevens.Size 19.5 x 15.5 in. 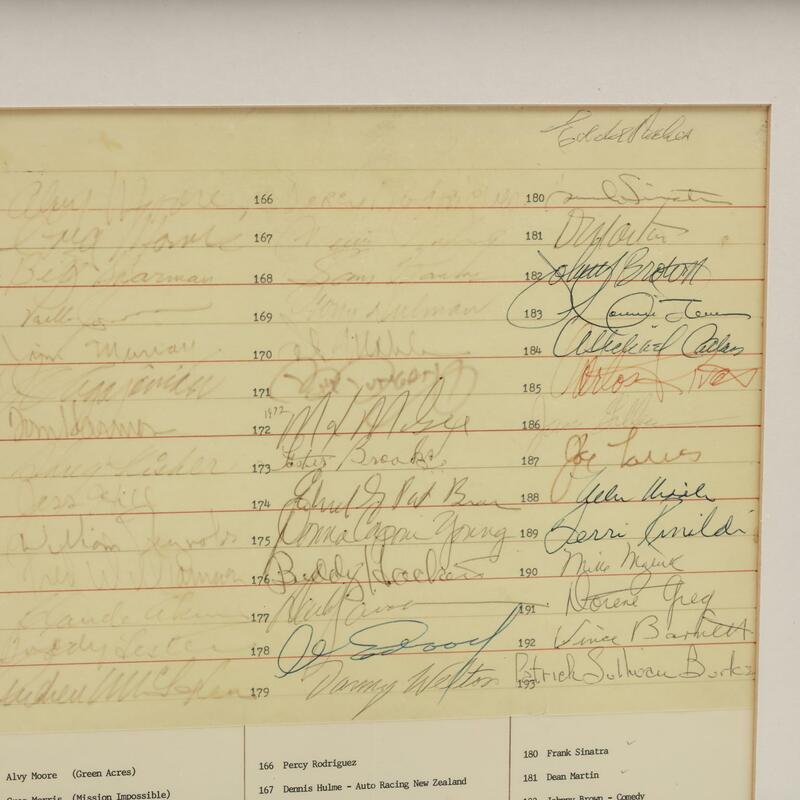 Some of the signatures have faded but many all are clearly visible.